Substance abuse can be caused by many things, and there are many possible contributing factors as well. Some rehab programs may treat substance abuse and addiction as a medical problem, while others may view this issue as a lack of willpower. At Valiant Recovery we believe that both of these approaches are wrong, and that substance abuse can be completely eliminated when the right treatment methods and techniques are utilized. Substance abuse is caused by invisible wounds, and these may be psychological, spiritual, or both. Until these invisible wounds are uncovered and allowed to heal they will quietly fester, and can cause addiction and self destructive behaviors. Substance abuse treatment is not always pleasant, but it is necessary if you want to recover from addiction and get a normal life back. This treatment must include individual counseling sessions, in addition to group sessions, for successful results to be achieved. Substance abuse causes and contributors are different with each person, and individual sessions allow you to work through your negative emotions so that the internal psychological and spiritual wounds can finally heal. This is the only way that a complete and life long recovery from substance abuse can be attained. For many people who have substance abuse problems the actual cause of their addiction may go back many years, to a trauma which happened long ago. This trauma can be physical, psychological, or spiritual in nature, and it can be similar to an infection that will not go away until it is exposed and treated. Many rehabs do not have the resources and budget necessary to cover the high cost of individual counseling sessions, and this means that the substance abuse treatment offered by these programs will not lead to a full recovery. Valiant Recovery is one of the few exceptions, and we offer a program that will help you eliminate your substance abuse and achieve a complete recovery. All of the substance abuse causes and contributors need to be addressed if you want to be free from addiction. This requires a customized treatment plan and professional intervention, and at Valiant Recovery we offer a program with many different elements, so you get the recovery you need and a luxurious residential treatment facility and caring staff that make you feel comfortable. 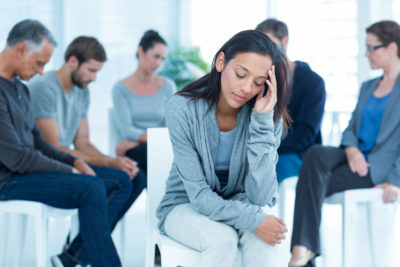 There is help for your substance abuse issues, and you do not have to feel deprived or go without the luxuries and personal service you expect just to receive treatment. If you or someone you care about struggle with substance abuse contact Valiant Recovery, and see how we can help.